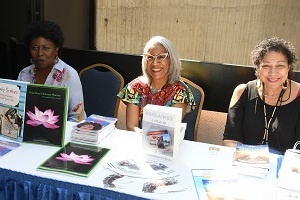 Don’t miss the chance to take advantage The 2019 NABJ Authors Showcase & Bookstore, an informative and exciting offer at the NABJ Convention & Career Fair, Aug. 7 through 11 at the JW Marriott Miami Turnberry Resort & Spa. NABJ pays homage to legendary black journalists, authors, educators, and activists who have made outstanding contributions to both their industry and the worldwide black community over the course of their careers. The Annual Sports Task Force Scholarship Jam is a special fundraising event. Come out and enjoy music and dancing for a good cause. Proceeds from the party go to benefit NABJ’s Sports Task Force Scholarship Fund, which provides college scholarships to help aspiring journalists; proceeds also support general funds for NABJ and the Sports Task Force. INFORMATION COMING SOON. 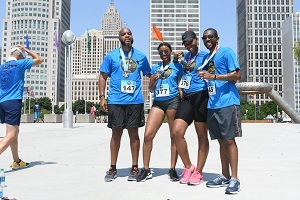 After engaging in full-and half-day seminars designed to strengthen and enhance their skills, journalists, media professionals, students and educators from all over the country will participate in the #NABJ19 5K Run, Walk, Bike. The 5K is designed to strengthen your bodies and promote better health. The Visual Task Force (VTF) has invited black photography organizations to donate prints about the African-American experience. The event is open to the general public. This auction is presented by VTF as an opportunity for photographers to showcase their images to a broader audience. Since it's inception, proceeds from the popular event will go directly to the NABJ Scholarship Fund. 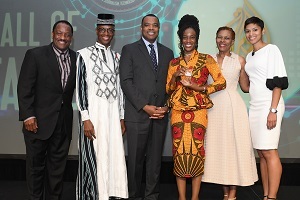 The awards ceremony is the only event in the United States that honors exemplary coverage of African/ African-American people or issues exclusively. 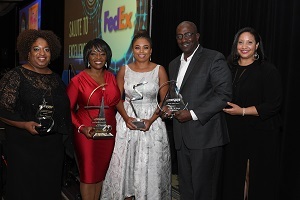 The Salute to Excellence Awards Gala highlights the work of media organizations and individuals involved in print, broadcast and online journalism, marketing and communications. 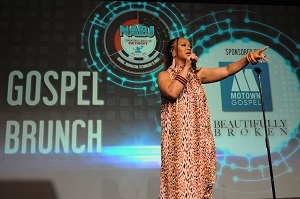 An NABJ tradition, the Gospel Brunch is one of the convention highlights. Attended culminate for this experience by feasting on the brunch buffet and enjoying entertainment. Please Note: Underage drinking is not permitted at NABJ events. In addition, all convention attendees are subject to the rules of the NABJ Code of Conduct. Important Notice: Entry to each event is on a first-come first-served basis. You may not be able to enter some sessions because of seating capacity. We strongly encourage you to arrive early. Otherwise, you may be directed to an overflow room, a closed circuit hotel channel or viewing through live-stream sources.